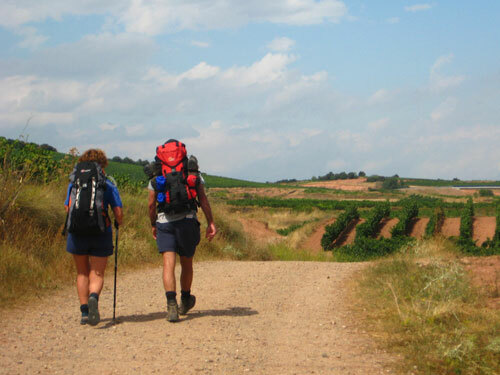 This Walking Holiday explores the fourth section of the Camino Frances / French Way, the most traditional of all the pilgrims' ways to Santiago de Compostela and the best known internationally. 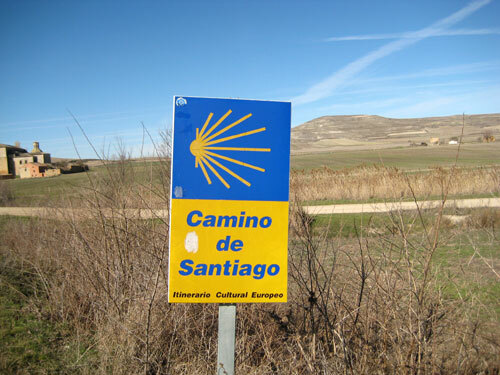 Starting from Burgos, the medieval city and hometown of "El Cid", and finishing in Sahagun, a town renowned for its unique Roman churches, this Camino is certainly one of the most rewarding in terms of culture and natural surroundings. You will be pre-booked in a traditional hotel in the heart of the town. Burgos, which was the capital of the unified kingdom of Castilla-Leon for five centuries, boasts a masterpiece of Spanish Gothic architecture; the Cathedral of Burgos (a UNESCO World Heritage Site). 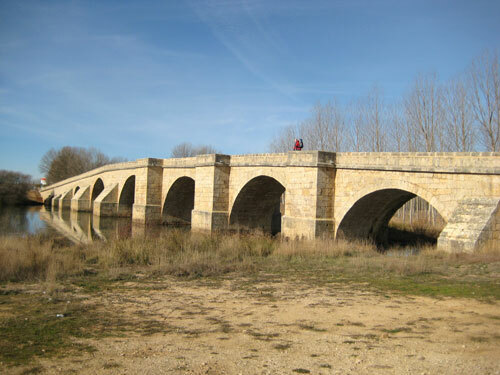 Aside from a visit to the historic quarter, you can take quite an interesting walk along the banks of the Duero and Arlanza rivers. Discover the delicious and varied local cuisine in one of the city's restaurants. From Burgos you will go through the stepped crop fields that are typical of the region. You will pass through some small woods of Holm oak and conifers, which serve as a memory of the time when one of the largest forests in Europe existed on these lands. You will resume your walk towards Castrojeriz. Upward to another plateau and then descending toward the valley of the River Bol. Today is a pleasant day spent between pasture and crop fields. 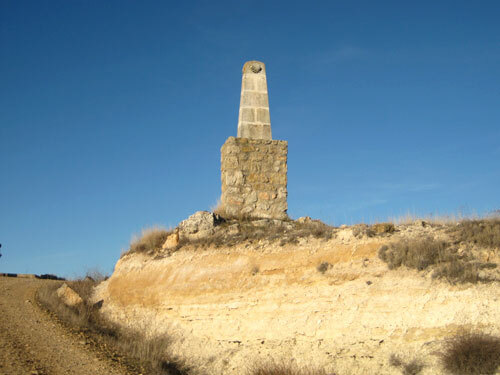 After Castrojeriz, situated on the hillside between the valleys of the rivers Odrilla and Pisuerga, is Alto Mosterales - highest point of the Meseta, and the last plains of the Burgos Region. 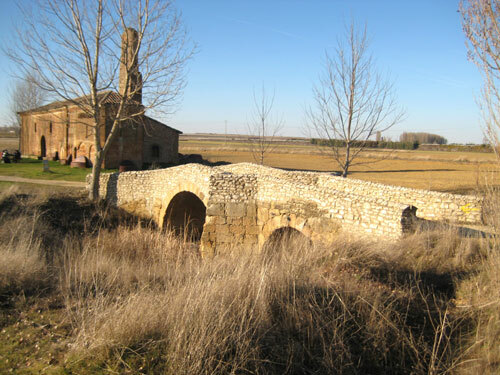 The river Pisuerga brings you into the province of Palencia and on into the "Tierra de Campo". Don't miss Boadilla and its 14th-century church "La Asuncion", reputed for its Gothic pillory and beautifully carved baptismal font. 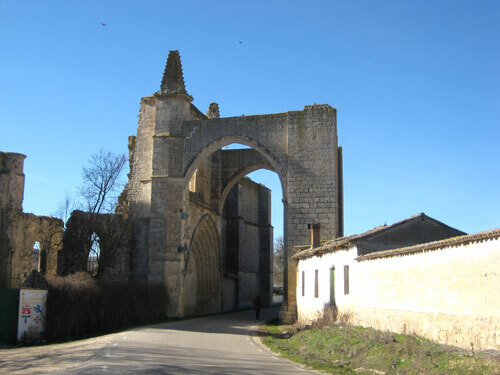 For 13km you will follow the historical "Aquitana Camino" (another famous Camino to Santiago which begins in Bayonne, France) through isolated countryside, passing poplar woods and crossing over several irrigation channels. Expect hilly terrain as you cross some "cuezas", or little valleys. This part of the Camino leaves the road and heads through oak woods, before coming back to familiar cereal fields and crossing the river Valderaduey on your way to the countryside of Leon. In Sahagun, the church of San Lorenzo is certainly worth a look. Luggage transportation: Luggage will be transported from hotel to hotel on Day 2,3,4,5,6,7 - . The baggage allowance is one item (maximum 20kg) per person. If you need to add more bags please contact us in advance. ♦ Getting there – You can go to Burgos by train from Santander (1 hour journey) or Bilbao (3 hours journey). Trains have several departures a day.